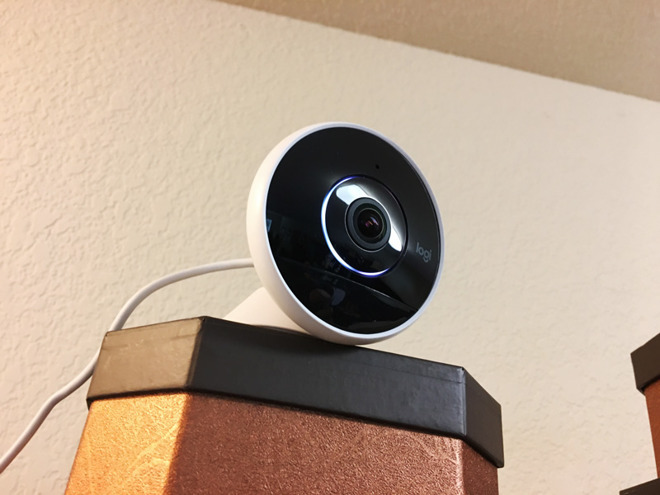 Logitech's Circle 2 has been available for a little while, but only recently did the company add HomeKit support to the Wired model —making it just one of two security cameras in the entire smarthome market with that integration. The results are reasonably good, but some missing features prevent a whole-hearted recommendation. Installing the Circle 2 can be dead simple or consume an entire afternoon, depending on your needs. By default the camera offers an adjustable base, which can be used either as a stand or a wall mount —some supplies are included for the second option. It's best to install the camera (and its power supply) in a location that can't easily be reached by thieves. Indoor installations are generally the easy ones, since sockets are plentiful and Wi-Fi should be strong. 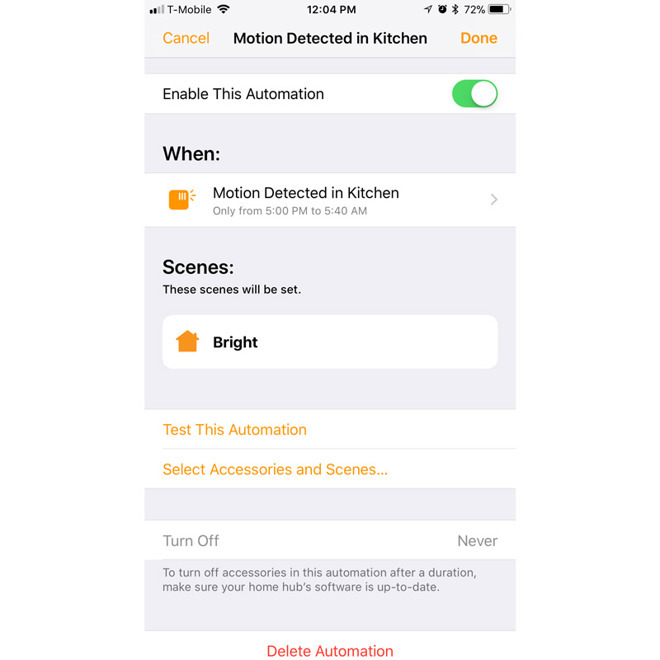 All you need to do is position the camera, plug it in, and follow some basic steps in the Logi Circle app for iPhones and iPads —a HomeKit ID can be found underneath the camera's removable exterior. We were up and running within minutes once we established a good vantage point. If you choose to install outdoors, the camera is already weatherproof, but in addition to mounting it you'll have to run cables and ensure a steady Wi-Fi signal. Expect to need things like a ladder, clips, a drill, a Wi-Fi extender, and/or Logitech's $29.99 Weatherproof Extension, which is essential for exposed power outlets. 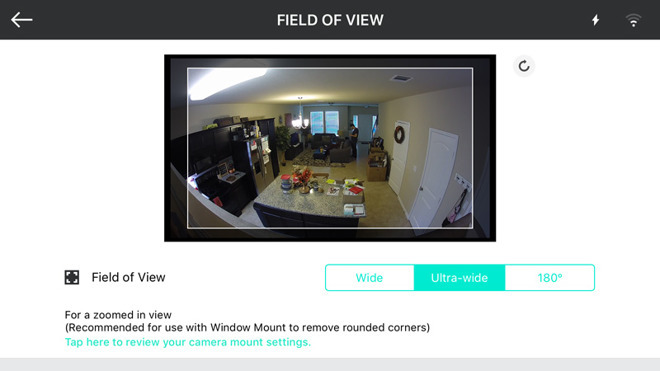 A $39.99 window mount may avoid the need for going outdoors, but reflections and messy glass could cause their own problems. The camera offers automatic night vision up to 15 feet, resolutions up to 1080p, and a field of view up to 180 degrees. Those are fairly impressive specs for a consumer model, its FOV enabling a single camera to cover a huge area. You can scale this back to "Wide" or "Ultra-wide" if the edges contain too much dead space or objects liable to trigger motion detection. We chose "Ultra-wide," and also decided to scale resolution down to 720p, since 1080p led to too much buffering even on our test home's Wi-Fi network. Indeed there were still occasional buffering problems afterward whether viewing on Wi-Fi or LTE, but performance was quick and reliable enough that we didn't want to sacrifice any more quality. Make no mistake, the Circle 2 is entirely cloud-dependent. There's no SD card slot or external drive support, meaning that if the internet goes down, so does recording. You can download highlight clips and screenshots at any time, including a handy "Day Brief" timelapse, but Logitech only offers 24 hours of storage for free —14- and 31-day Circle Safe subscriptions start at $3.99 per month, per camera. Only a Circle Safe Premium plan costing $9.99 per month or $99.99 per year (and once again, per camera) offers features like person detection, motion zones, and more specific alerts and filtering. Logitech's paid plans seem a little stingy, especially since Netgear offers 7 days of free recording for up to 5 Arlo cameras. The Circle Free plan is still better than offerings from August and Nest, which force you to pay for much of anything beyond live streaming. The Logi Circle app only sends movement notifications when you're away from home. 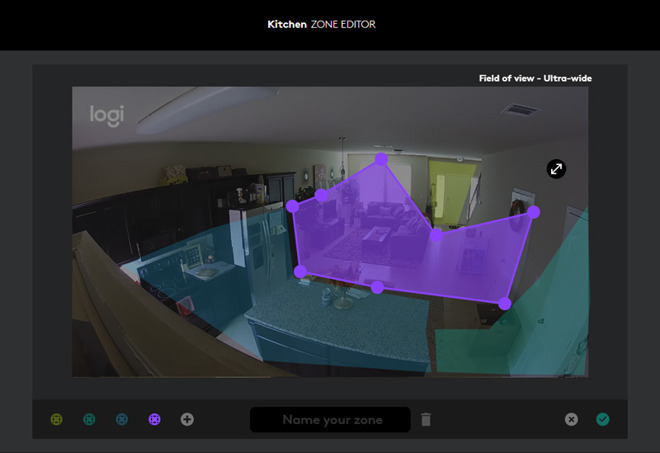 If you have Premium's motion zones enabled, you can choose to limit alerts to specific areas —in a backyard, for instance, you can draw a zone around your patio using a Web interface. Premium members can also dictate whether alerts are limited to humans. All customers can optionally narrow alerts to high activity, as well as 1-, 15-, or 30-minute frequencies. A privacy mode can be used to completely halt recording and alerts, but must be triggered through the Circle app, which makes it a little cumbersome. The most disappointing thing about the Circle 2 proved to be its two-way audio. While its microphone did a decent job picking up voices and ambient noise, its speaker proved to be too weak, making it hard for people to hear if there was any other significant sound source. HomeKit support could potentially tip the scales for some shoppers, and it's not hard to see why. On the simplest level, it makes the camera easier to control. On an iPhone or iPad you can tell Siri to "show me the security camera," and it'll jump straight to a custom live feed where mic and sound functions still work. 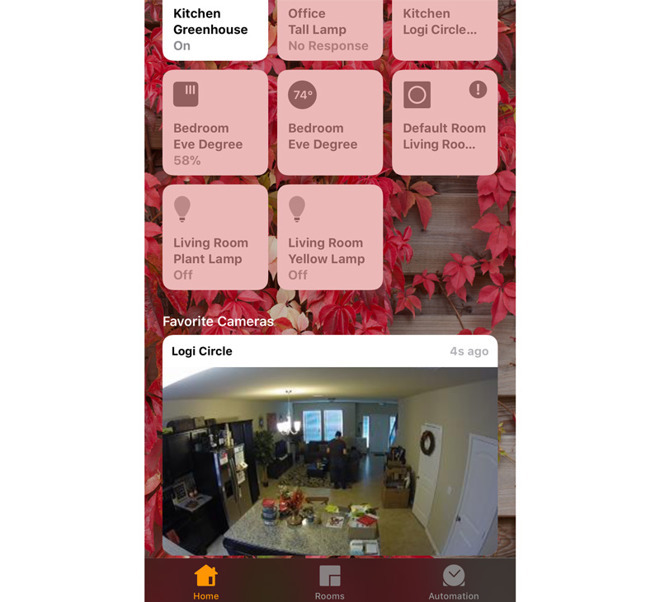 Within the iOS Home app, the Circle 2 gets a live thumbnail view on the dashboard. Live feeds are even available on the Apple Watch, though only streaming from a paired iPhone —no dice for owners of the LTE Series 3. Where HomeKit really matters is in integration with third-party accessories, particularly under iOS 11. We for instance set up a camera to turn on Philips Hue lights whenever the Circle 2 detected motion, but only at night. There's no reason to limit things to security either —in theory motion can trigger fans, shades, outlets, and more. There are some barriers. 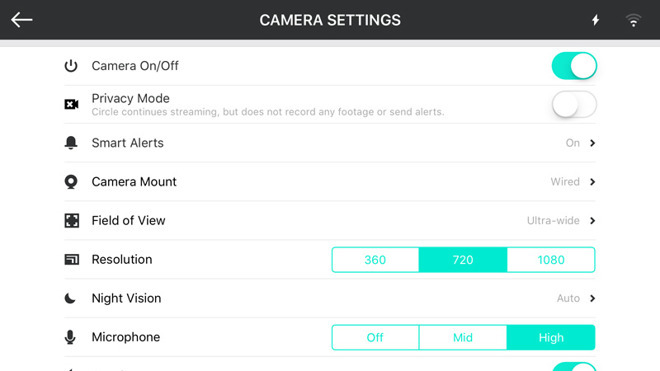 The camera's settings can only be configured via Logi Circle, and using Home limits the number of simultaneous live streams to two. Likewise, you'll need an Apple TV or iPad as a hub if you want remote streaming and automation, despite the Logi Circle app having no such restrictions. It's worth noting here that the camera also supports a handful of Amazon Alexa commands —just none that are terribly useful unless you have an Echo Show. If HomeKit isn't absolutely essential, it might be wiser to consider something like Netgear's Arlo Pro 2, which not only includes 7-day cloud storage but a siren, USB drive support, and a wireless mode. 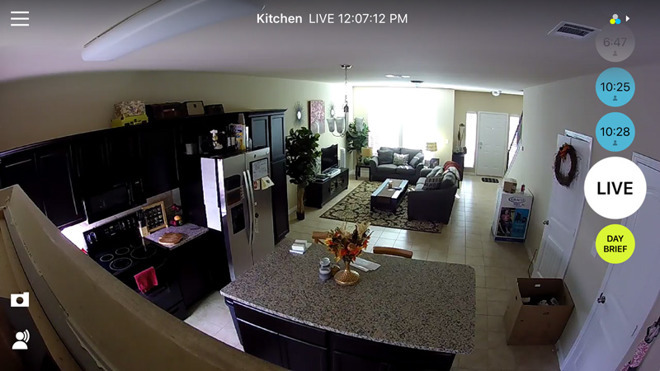 Apple doesn't allow HomeKit on fully wireless security cameras, which may be the only thing holding Netgear back. The Logitech Circle 2 Wired is available at Amazon for $179.99 with free shipping. Best Buy also has the Circle 2 for the same price, with free in-store pickup.